I feel certain that Bev is not the only one feeling wistful for wisteria this time of year. They are truly lovely, but not easily grown on a whim. Cultivating these divine vines requires time and patience (like, years’ worth). So, if you’re planning a planting, prepare for a two- to three-year process of hurry-up-and-wait. 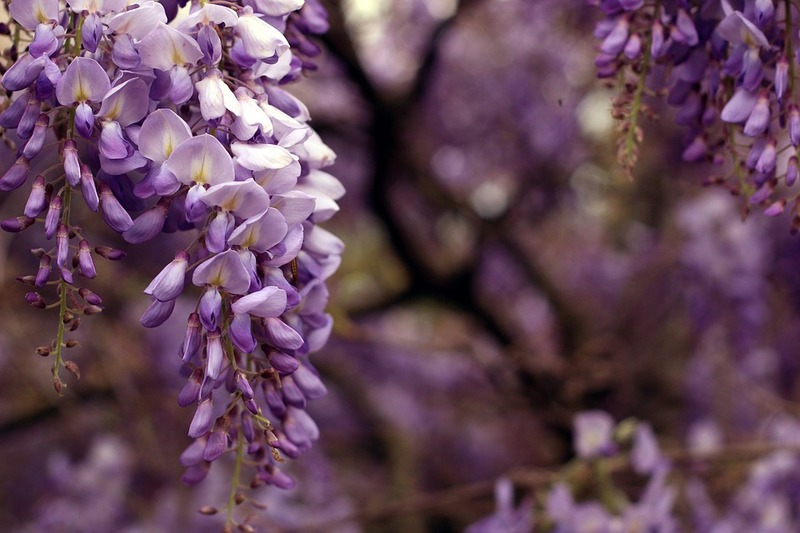 Another consideration before shopping for seeds: only two varieties of wisteria are native to the U.S. This fact matters because the Asian varieties (Wisteria sinensis and Wisteria floribunda) are considered invasive, noxious weeds that will aggressively spread and displace native vegetation. Rather than wait for wisteria to bloom, take a (virtual) vacation to Kawachi Fuji Garden in Kitakyushu, Japan. 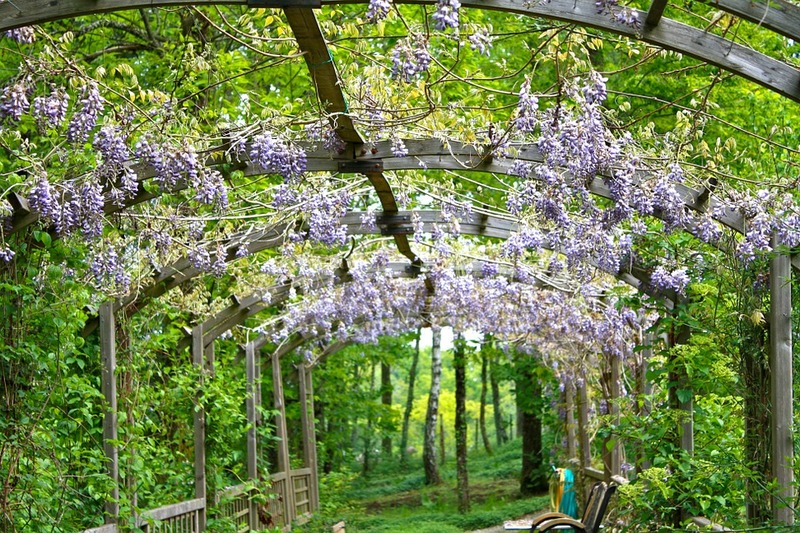 This gorgeous garden boasts over 100 flowering wisteria plants from 20 different species. The voluminous vines create Kawachi Fuji’s famous wisteria tunnel. I’ve only seen Wisteria ONCE in my life. I nearly lost my mind with its beauty and charm! WE are fortunate to grow Wisteria here in Florida. Our blooming occurs in late February and March when we are in the height of our Spring season. It is so lovely and the fragrance is light and sweet. Our Bumblebees go nuts when it blooms too! Very beautiful! It would be so peaceful to sit among Wisteria and take in it’s beautiful purple color. I believe an old neighbor of mine had some hanging along her fence. They did have a lovely little fragrance which was nice when I walked by.